Ikea last month announced plans to open its first store in New Zealand ‒ but now it’s not at all clear they’ll be able to find their way to the islands way, way down under. The chain has recently had to apologize for selling world maps with the Land of the Long White Cloud conspicuously absent. 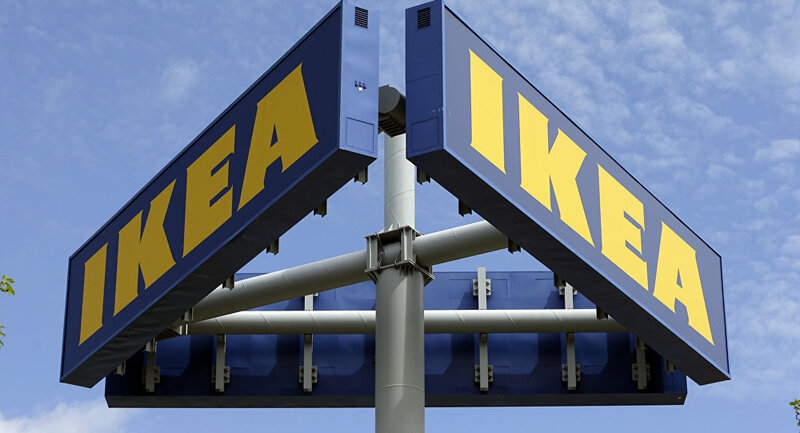 A Reddit user pointed out the latest gaffe on February 7, sharing a photo of the furniture giant's $30 BJORKSTA world map and noting "Ikea's map game is not on point." The Swedish company apologized in a statement to the BBC. "Ikea is responsible for securing correct and compliant motifs on all our products," the company said through a spokesperson. "We can see that the process has failed regarding the product BJÖRKSTA world map — we regret this mistake and apologise. We will take the necessary actions and the product is now being phased out from our stores." Ikea is a repeat offender when it comes to Kiwi erasure — visitors have spotted map illustrations on the walls of its stores that also leave off the island nation. But Ikea isn't alone. There's a Facebook page dedicated to the phenomenon and the government of New Zealand even cracks jokes about it on its website. Not all New Zealanders are taking it in stride. Some, at least, are taking comfort in the fact that while their location may sometimes cause them to be forgotten, on other occasions it means they show up on maps twice. ​Kiwis. They might be way under the rest of us, but you can't keep ‘em down.